1) Most websites don’t have a massive traffic problem, however every website in the world has a conversion problem. (Source: Bryan Eisenberg) Tweet this. 2) Conversion rates typically range from 1 to 3 percent. (Source: Steelhouse) Tweet this. This shows that about 97 percent of the visitors on a website are not interested in what is being offered to them. They do not react to the CTA (Call to Action) that is being measured. This figure definitely shows how long a way, CRO still has to go and how huge the market potential is, for the CRO industry. But why are the conversion rates so low? Majority of the experts suggest that it is due to the fact that improving conversion is not an easy job. It is pretty much a complex challenge for most businesses, especially, when they do not measure the effect of changes which they make or don’t use testing properly. Recent trends suggest that, it is continuously becoming harder for businesses to improve their conversion rates. 3) Companies typically spend $92 to bring customers to their site, But only $1 to convert them. (Source: Eisenberg Holdings) Tweet this. 4) Only 65 percent of companies witnessed considerable improvement in conversion in 2011, which is evidently less than 70 percent in 2009 and 2010. (Source: Econsultancy) Tweet this. 5) I know that half my ad dollars are wasted, I just don’t know which half – John Wanamaker. Tweet this. 6) The companies’ satisfaction with their conversion rate has been decreasing in the last four years. Only about 22 percent of businesses are satisfied with their conversion rates. (Source: Econsultancy) Tweet this. 7) Approximately 61 percent of companies carry out less than five tests every month. (Source: Bryan Eisenberg) Tweet this. 8) More than 20 percent of businesses have reported that they do not have an effective strategy for landing page testing. (Source: IonInteractive) Tweet this. 9) A one second delay in page response time can result in a 7 percent reduction in conversions. (Source: KISSmetrics) Tweet this. 10) You have only 8 seconds to make a compelling headline. (Source: Interactive Marketing) Tweet this. 11) About 75 percent of businesses have problem finding suitable expertise for optimizing their landing page copy. (Source: MarketingSherpa) Tweet this. There are a couple of important, notable points in these stats. 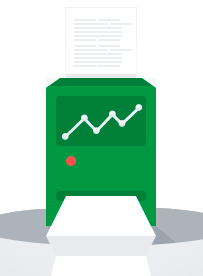 For one thing, majority of the business fail to have an implementable, highly-effective strategy on conversion rate optimization. You just have a few seconds to make an impression on your visitors, and if your landing-page lacks what they are looking for, conversion rates are going to be low. What is required, is a system that will enable marketers to make effective changes on their landing pages to help improve conversion rates. Lack of testing abilities is another important factor that affects conversion rates. Companies need to understand the importance of testing, if they are interested in improving their conversion rates. 12) Videos on landing pages can improve conversion rates by up to 80 percent. (Source: EyeViewDigital) Tweet this. 13) Simplify. 20% increase in decision simplicity results in a 96% increase in customer loyalty, 86% increase in likelihood to purchase, and 115% increase in likelihood to recommend. (Source: CEB) Tweet this. 14) Businesses with over 40 landing pages generated a whopping 12 times more leads than those with 1-5 landing pages. (Source: HubSpot) Tweet this. 15) 61 percent of customers read online reviews before making a purchase. Use Online Reputation Management to improve Conversions. (Source: Econsultancy) Tweet this. 16) More than 90% of visitor who read your headline also read your CTA Copy. (Source: Unbounce) Tweet this. 17) Conversion rates increase when your goals and your users’ goals meet. (Source: Conversionista) Tweet this. 18) Long landing pages can generate up to 220% more leads than above the fold call-to-action. (Source: Marketingexperiments) Tweet this. 19) Using correct targeting and testing methods can increase conversion rates up to 300 percent. (Source: Steelhouse) Tweet this. There are quite a few methods that are being used by marketers to increase their conversion rate. Some of these methods include usability testing, segmentation, copy optimization, customer feedback and competitor benchmarking. Any one of these mentioned methods can affect the performance of your campaigns, but you need a testing system to measure the effect of the implemented changes. This is where A/B testing comes in. 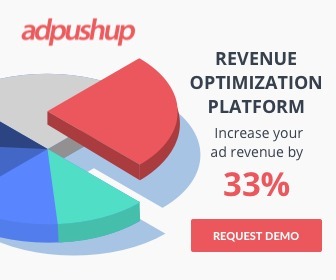 It offers Marketers the ability to target, split visitors and test conversion optimization campaigns, allowing businesses to see what works and what doesn’t thereby helping them increase their conversions. 20) A/B testing is the most used testing method for improving conversion rates. (Source: Steelhouse) Tweet this. 21) The use of testing among companies, has increased from 27 percent to 38 percent. (Source: Econsultancy) Tweet this. 22) President Obama raised an additional $60 million, using A/B Testing. (Source: Event360) Tweet this. 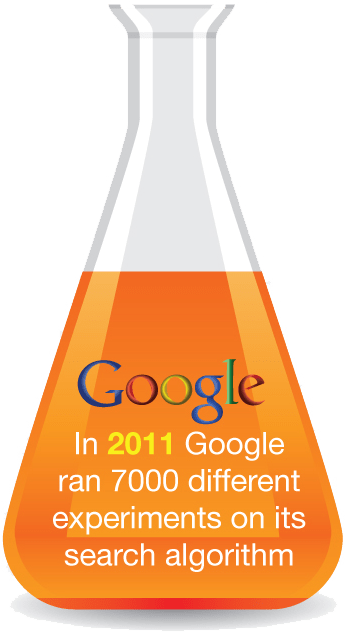 23) Google ran more than seven thousand A/B tests in 2011 alone. (Source: Pardot) Tweet this. 24) Only 44 percent companies use split-testing while trying to optimize conversion rates. (Source: SeoGadget) Tweet this. 25) Only one out of eight A/B tests has driven major changes. (Source: ConversionXL) Tweet this. A/B testing is being used by advertisers since a very long time to determine what parts of a campaign, landing page, or a website receive better response. You need to have a hypothesis about what works for you. Split testing is popular, but still a large number of business, have not used it. Very few tests drive substantial improvements and the probable reason for it is insufficient knowledge about what the consumer or the visitor needs. Similarly, one of the biggest assumption among people is that Testing is a one time process and at the end of which, they will have a better performing, optimized campaign which will help them get the maximum bang for the buck, while this is absolutely incorrect. Testing is an ongoing process which you ideally never stop. You do testing to improve and improvement should never stop. I’ve also said this a lot of times but, the market dynamics are change at a very fast pace, and your best performing variation is unlikely to remain the best, given the test of time. Hence, keep a close eye on your analytics and continuously testing, optimizing and improving is crucial.